When baby meerkats are born, they are only the size of an adult hand. But even though they are small, they quickly take on big responsibilities within the complex meerkat community. From keeping a lookout for predators and prey, to foraging for food, these baby meerkats spend a lot of time fighting to be in charge! I love the book but can you make books for older kids like me? Hi again, Maddy. Actually, I will have a new series out this fall called Amazing True Stories about fun events in history where kids were involved in the action. The first two books are The Ellis Island Experience and The California Gold Rush. I hope you like them! i cant wat till Meerkats come out i just love meerkats so much i think they are so cute and i love to watch the most extream and animal plantit i cant wat to read more of your books i will write back nto you as soon as possible. 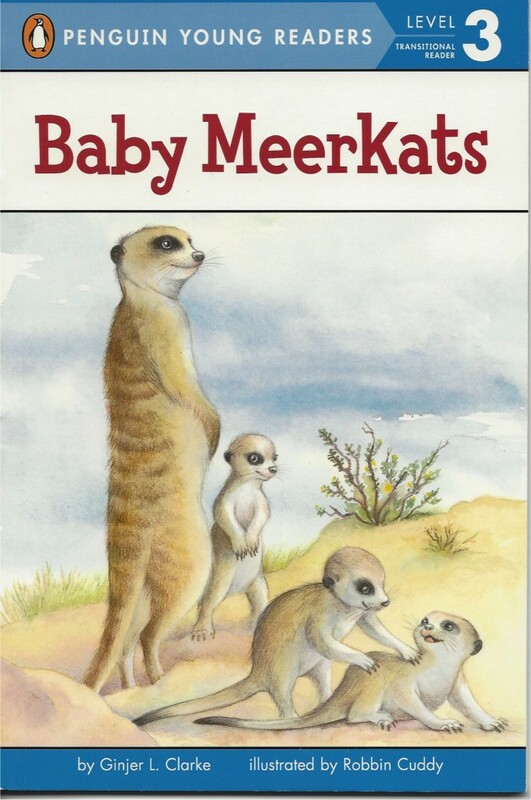 Thanks for reading my books, and I hope you love Baby Meerkats! p.s. What do meerkats eat? Thanks, Eva! I’m glad you enjoyed my visit. Meerkats eat bugs, lizards, and sometimes even scorpions! You’ll lots more when Baby Meerkats comes out next week. Why do Meerkats stand on their hind legs? That’s a great question, Brody. Meerkats stand on their hind legs partly to make themselves taller so they can spot prey. They also like to warm up their bellies in the morning sun. They use their tails to support them while standing up. I hope you’ll read lots more about meerkats in my book Baby Meerkats. Thanks!